Roughly two million tourists visit the Caribbean Islands per year. The Caribbean accounts for nearly half of the industry’s passenger count. Most of the world’s major cruise ships winter here. 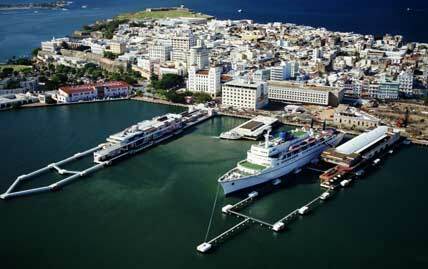 Tourism drives the economy of most Caribbean islands. And the United States is the chief trading partner in goods and raw materials. The Caribbean water is significantly warmer, calmer, clearer and less salty. These attributes draw tourists. The Caribbean Sea is the world’s second largest sea. The biggest, the Mediterranean, is only 9% larger. The Caribbean Sea’s deepest point is 7.5 kilometers (4.7 miles) below sea level. The Caribbean officially has over 7,000 islands (but that figure includes small cays, reefs, and islets). Only about 150 islands are inhabited. When Columbus arrived in 1492, the Caribbean had an estimated population of 700,000. Today, the number is about 40 million. Most descend from African slaves. Creole, Dutch, English, French, and Spanish are the top five languages spoken in the Caribbean. The entrenched European language on any given island reflects the island’s colonial heritage. The Caribbean Sea connects the Atlantic with the Pacific Ocean (with the assistance of the Panama Canal). The rugged-mountain islands (think Jamaica) are mainly volcanic in origin. Flat islands (like Barbados) were formed by coral formation and rising sea beds. The Caribbean is named after the native Carib people who once dominated many of the islands. Disney Cruise Line has four ships, all family oriented. Pleasing kids is the prime focus, but there’s something for everyone. The Fantasy is the best and newest Disney ship. Royal Caribbean International has specialized facilities and programs for teens. But there’s plenty going on to please parents and other adults. Passengers: About 3,000. The cruise port of San Juan reached a record high of 17,847 passenger arrivals on Feb. 25, who arrived on six cruise ships. The new figure topped the previous records of 15,776 passengers set on Dec. 31; 16,712 on Jan. 8; and 16,395 on Feb. 4. “The arrival of more than 17,000 passengers in a single day represents an economic impact of approximately $2 million to the economy of Puerto Rico,” said Luis Munez Martinez, deputy director of the Puerto Rico Tourism Company (PRTC). Recent improvements at the cruise port aided in the passenger and cruise call increase, including Pier 1, which made possible the arrival of the Disney cruises, and the expansion of Pier 3, which favored the arrival of Royal Caribbean’s Quantum of the Seas, according to Colberg Ingrid Rodriguez, executive director of the Port Authority. The ships that called on Feb. 25 included the Quantum of the Seas, Disney Fantasy, MSC Divina, Carnival Glory and Holland America’s Eurodam and Nieuw Amsterdam. Cruise ships calling on Feb. 26 and Feb. 27 include the Oceania Riviera, Carnival Liberty and Silversea’s Silver Cloud, making a total of 21 cruise ships that have called in San Juan since Feb. 21, including 11 ships that called between Feb. 21 and Feb. 25. Future New Build bound for China? 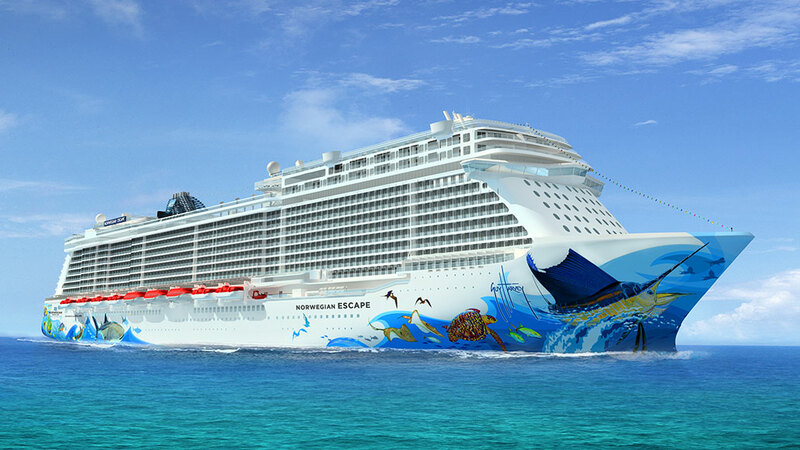 Norwegian Cruise Line Holdings CEO Frank Del Rio told investors that China is being studied as a deployment option for one of its ships on order for 2018. At a conference for institutional investors, Del Rio said he has formed a team to evaluate the idea. The exploratory team will do financial research with the goal of making a recommendation by the spring of 2016. A key question, Del Rio said, is whether Norwegian could make more money with the ship deployed in China or elsewhere. He noted that after initial losses, Royal Caribbean Cruises Ltd. and Carnival Corp. report being profitable in sourcing guests from China. “Others have begun making money there, and if others can, we can,” Del Rio said. Norwegian has multiple ships on order, including a pair of 4,200-passenger “Breakaway Plus” designs scheduled for delivery in 2018 and 2019.